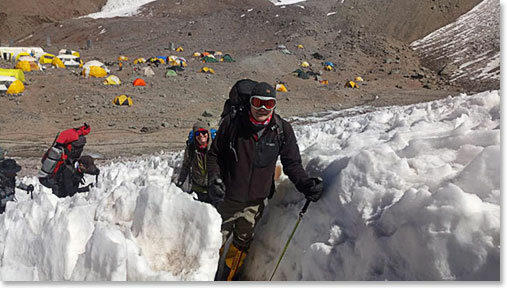 The team moved through the snow just above Base Camp. 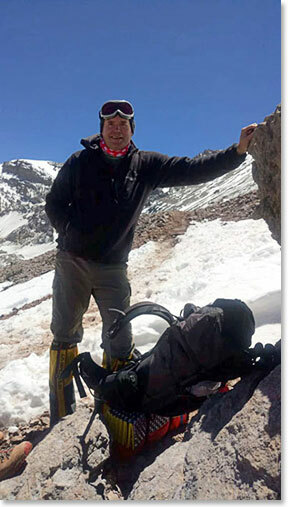 Early starts are not normal at this stage on Aconcagua. They started out late morning and they arrived at “Plaza Canada”, Camp I, midafternoon. 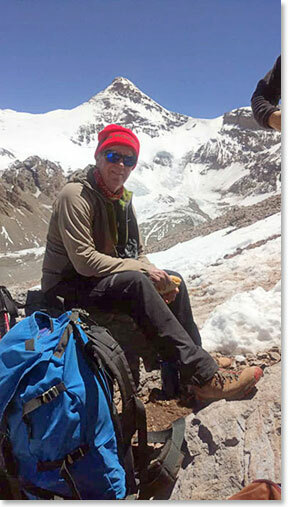 Osvi called us to say that they were relaxing in their tents after the climb, enjoying ‘papas fritas”, or French fries, prepared by Maria at 16,000 feet!